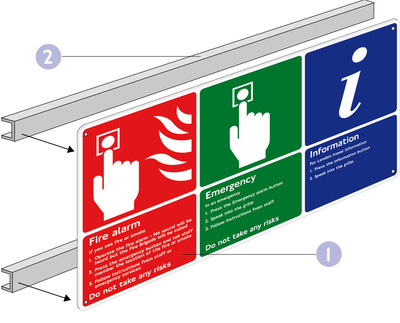 Showing the fixing method for a 'Wall mounted' sign. 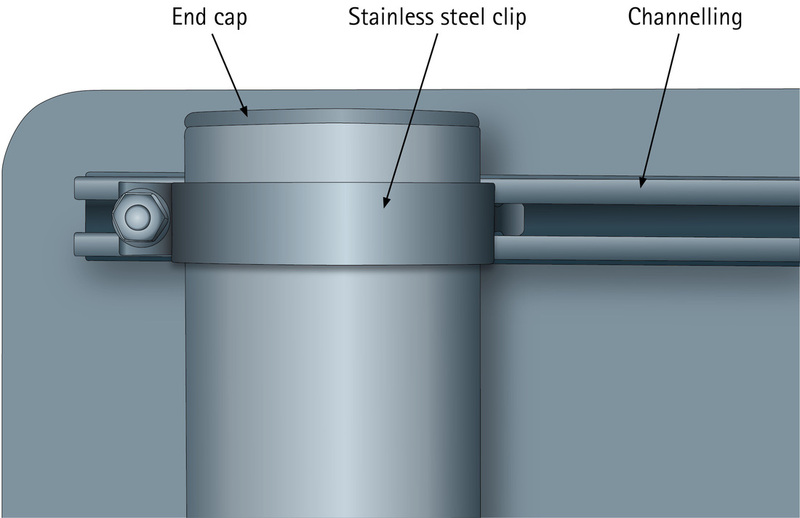 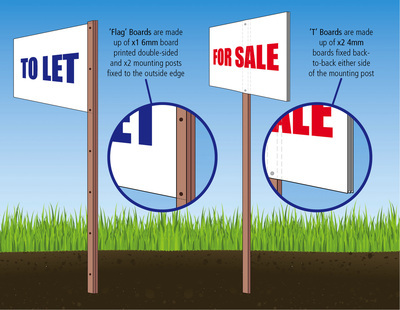 Showing the fixing method for a 'Flat plate' sign. 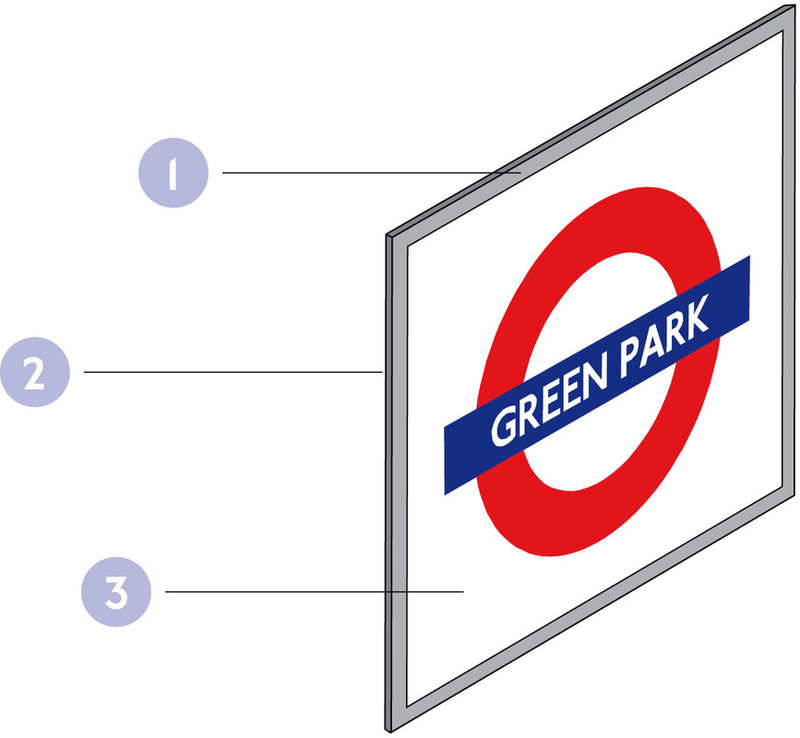 Showing the fixing method for a 'Curved' sign. Showing the different fixing methods for Estate agent boards. Detail showing how posts are attached to the back of signs. 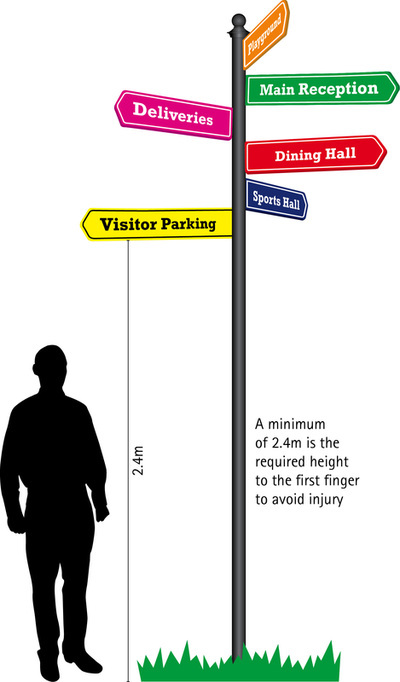 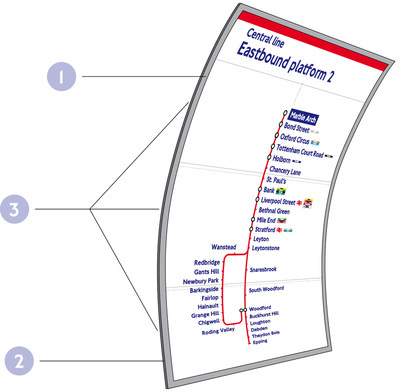 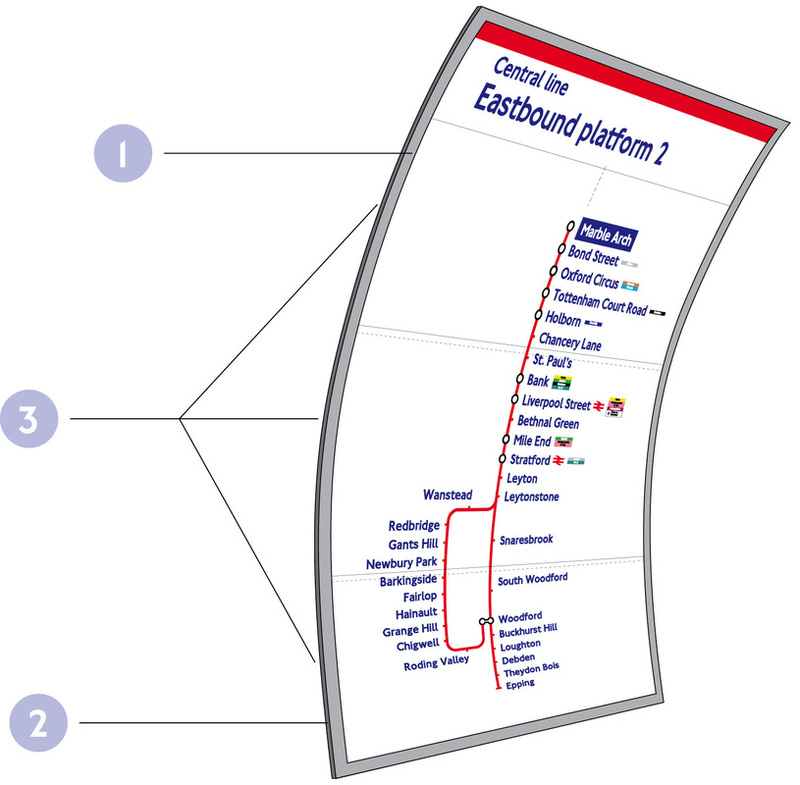 Illustration showing how big a sign is. 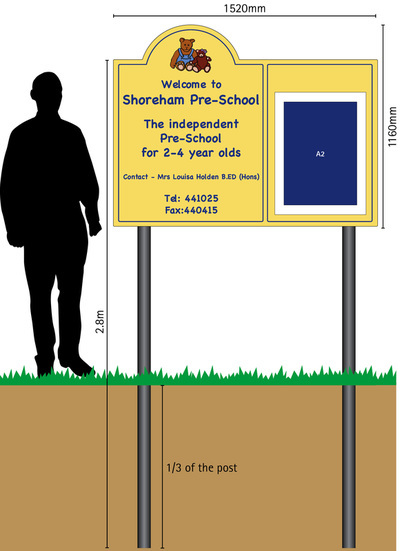 Showing the height of a 'Fingerpost' sign in relation to a person. 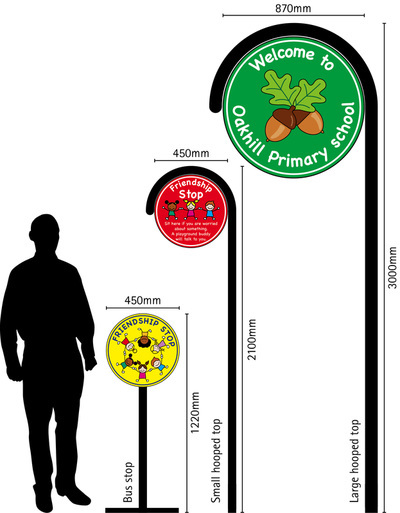 Showing the different height options for a 'Hooped' sign.